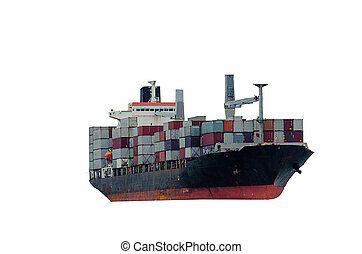 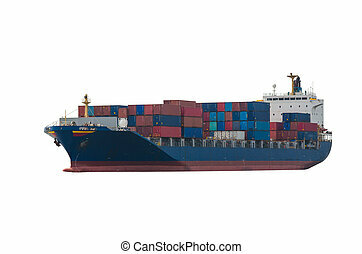 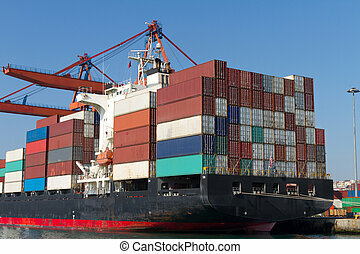 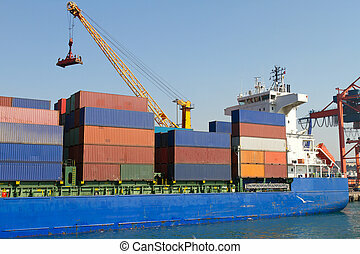 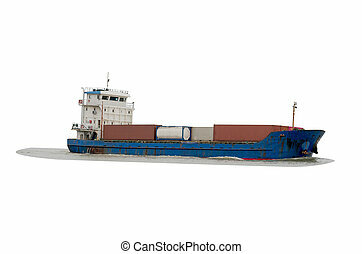 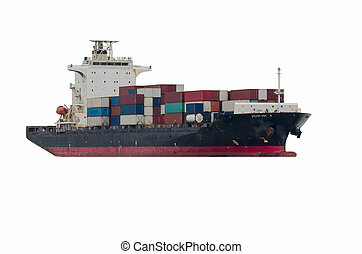 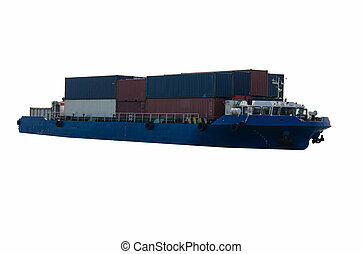 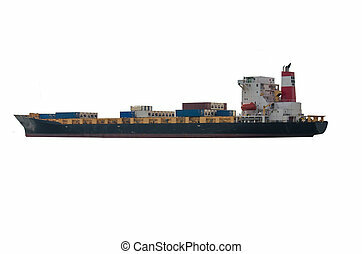 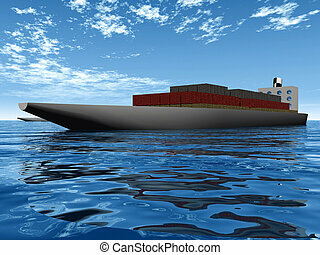 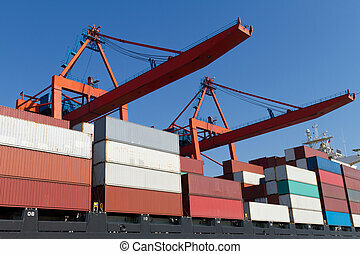 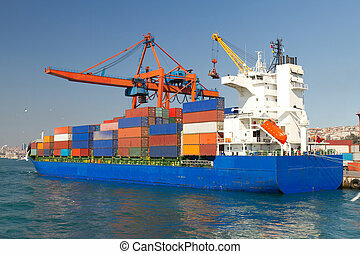 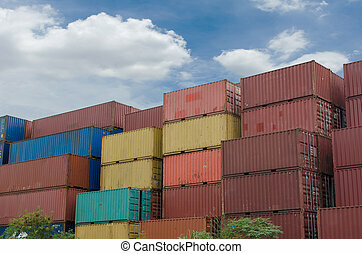 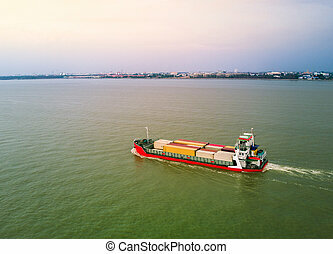 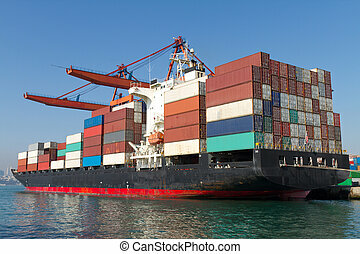 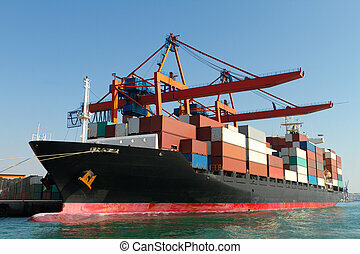 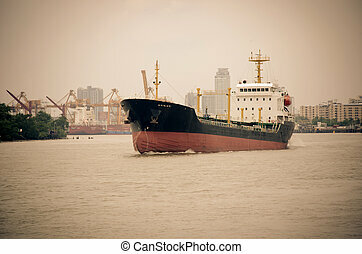 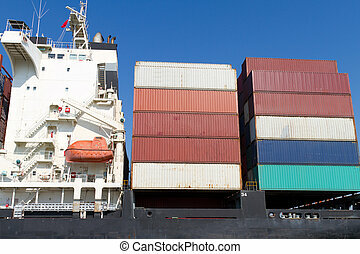 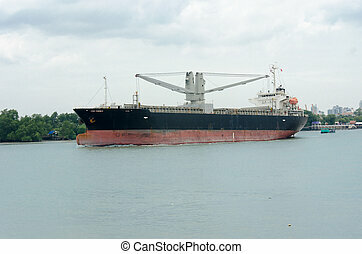 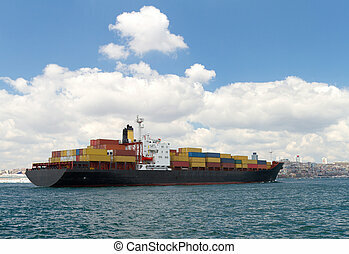 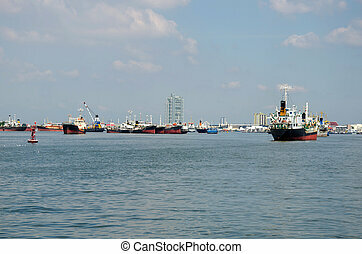 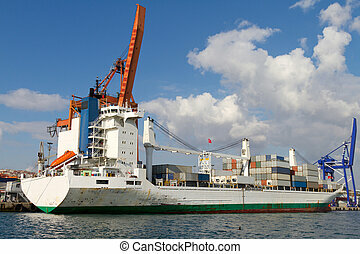 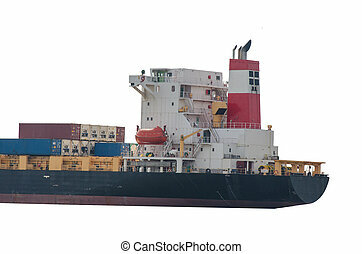 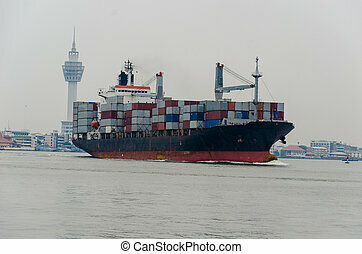 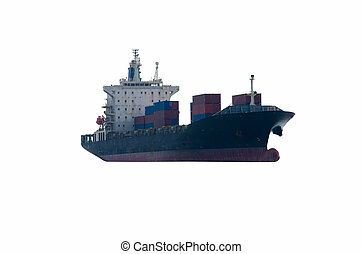 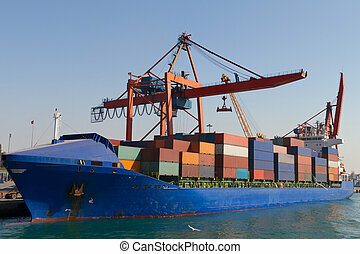 Container ship on white background. 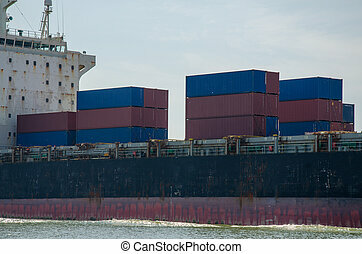 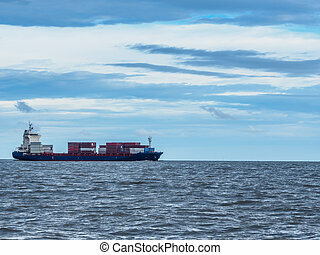 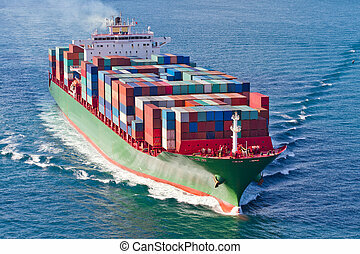 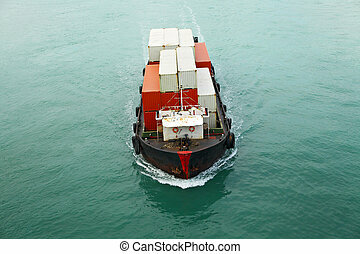 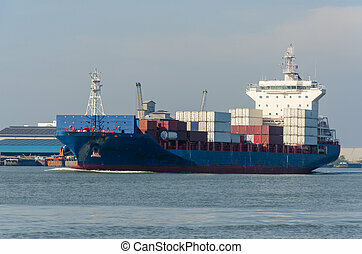 Container Cargo ship in the ocean. 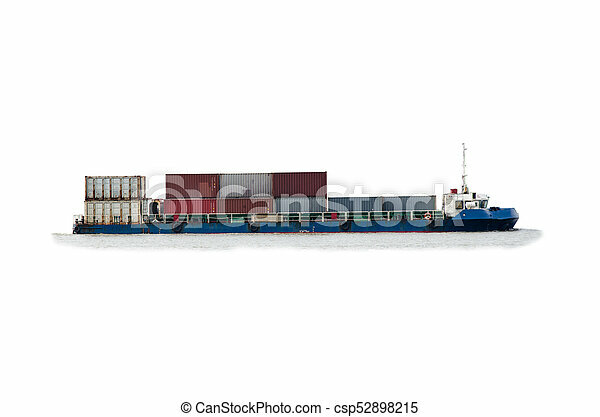 Freight Transportation on the white background.